We are a 501 (c)(3) non- profit organization. 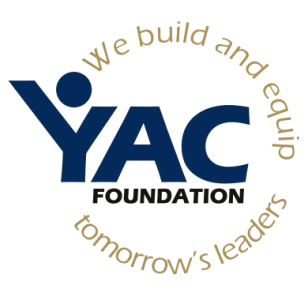 YAC (Young Athletes For Christ) foundation is a faith based non-profit organization that empowers youth through sports and gives them the resources to succeed in the classroom, on the field and in life. Since 1997, YAC has served as the premier student-athlete & at-risk youth development organization in Ventura county. Our mission is to provide student-athletes with the resources necessary to succeed academically, athletically, and spiritually. Since its inception, YAC has served as a pivotal agent in the empowerment of youth and the development of leaders in Ventura County and in our newest branch in Texas. YAC has worked with thousands of youth over the past decade empowering them to be leaders and role models while teaching them how to achieve Academically, Athletically, Spiritually and in Life. Our vision is to empower youth through sports to be purpose driven, self confident and high achieving leaders while teaching them how to make good choices, strive for excellence and have a heart that gives back to their community. YAC has been instrumental in helping hundreds of its members go to college on athletic and academic scholarships. Of which over 100 of them have graduated with bachelor’s degrees and are now serving in pivotal roles in our community. Many of its members would not have had these opportunities had it not been for YAC’s mentoring, training and recruiting programs.